The story of The Witches of Eastwick is based on the John Updike novel. 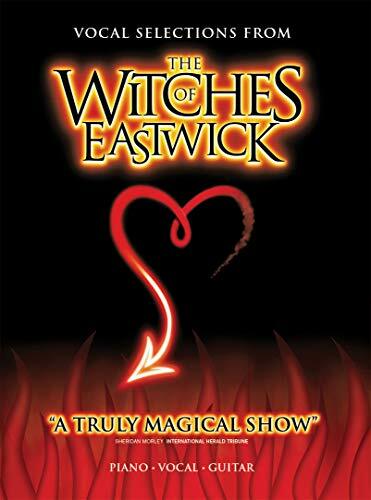 Set in the fictional Rhode Island town of Eastwick in the late 1960s, it follows the witches Alexandra Spofford, Jane Smart, and Sukie Rougemont, who acquired their powers after leaving or being left by their husbands. Their coven is upset by the arrival of a devil-like character, Darryl Van Horne. The mysterious Darryl seduces each of the women, encouraging them to play with their powers and creating a scandal in the town. This songbook features twelve songs for piano, voice with guitar chords, and has a selection of colour and black & white photographs from London's West End production of 2000 which starred Ian McShane, Lucie Arnaz, Maria Friedman and Joanna Riding. View contents below.